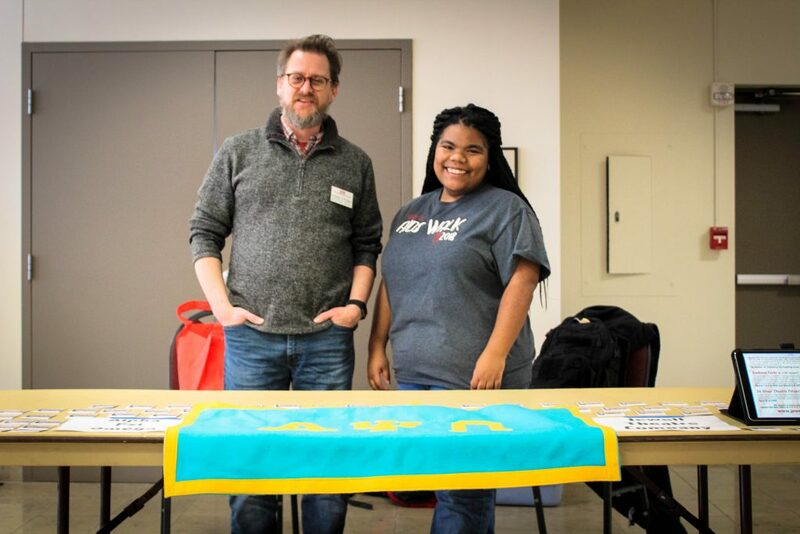 Communication and theatre professor Nathan Wyman and Junior psychological science major Janessa Johnson at the Winter Activities Fair. 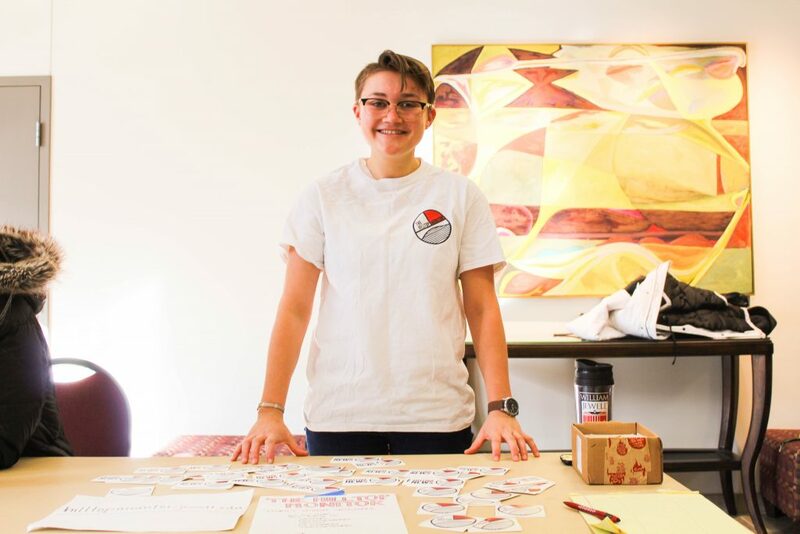 Junior chemistry and communication major Sofia Arthurs-Schoppe stands behind The Hilltop Monitor table. 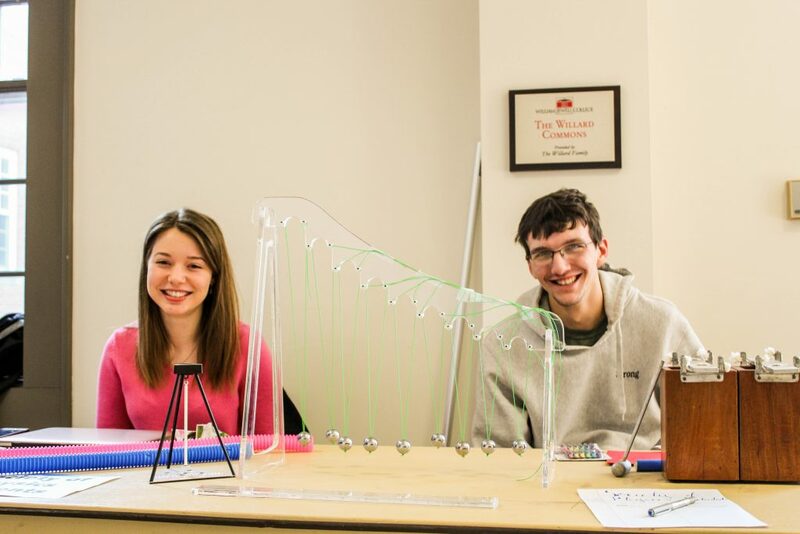 Senior Oxbridge: History of Ideas and physics major Meg Anderson and senior chemistry, mathematics and physics major Denver Strong represent the Society of Physics Students at the Winter Activities Fair. 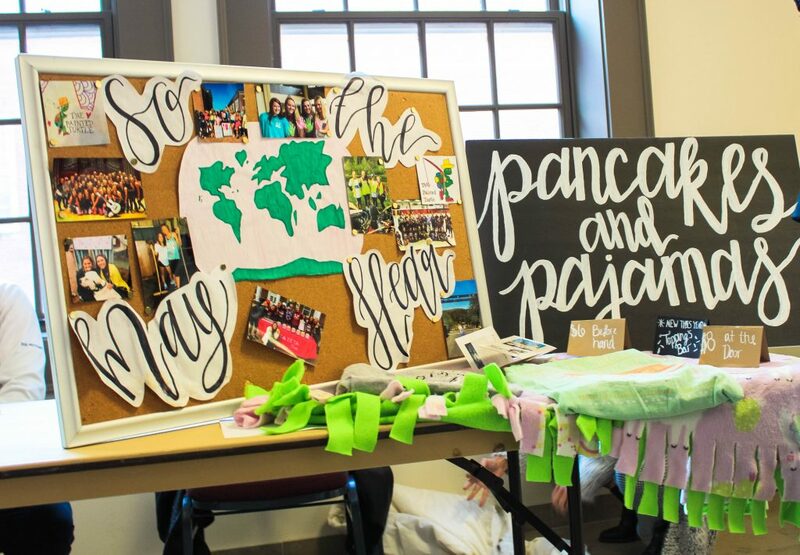 Sorority, Delta Zeta, promote the Starkey Hearing Foundation at the Winter Activities Fair. 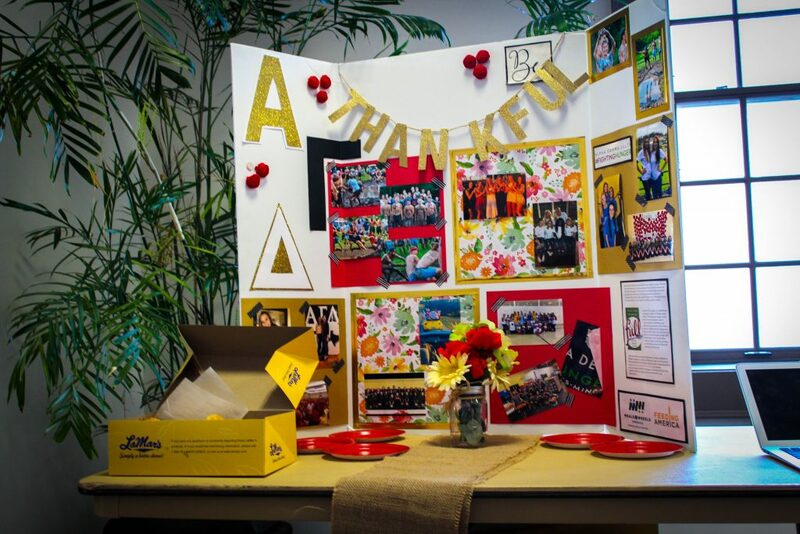 Sorority, Alpha Gamma Delta, promote their “Full Plates. Hearts. Minds.” campaign and hand out Le Mars donuts at the Winter Activities Fair. 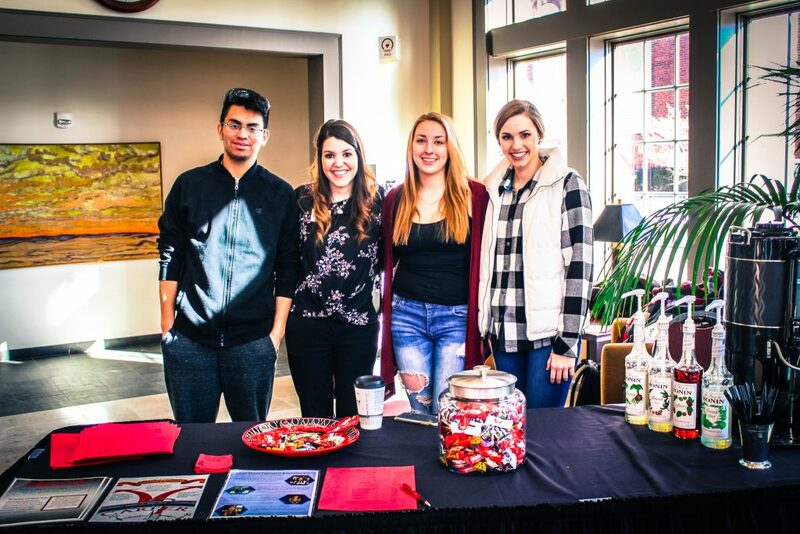 (Left to right) First-year economics major Dimas Velasquez, director of career development and internships Marissa Bland, senior psychological science major Cassidy Troyer and junior psychological science major Megan Rhule at the Winter Activities Fair. 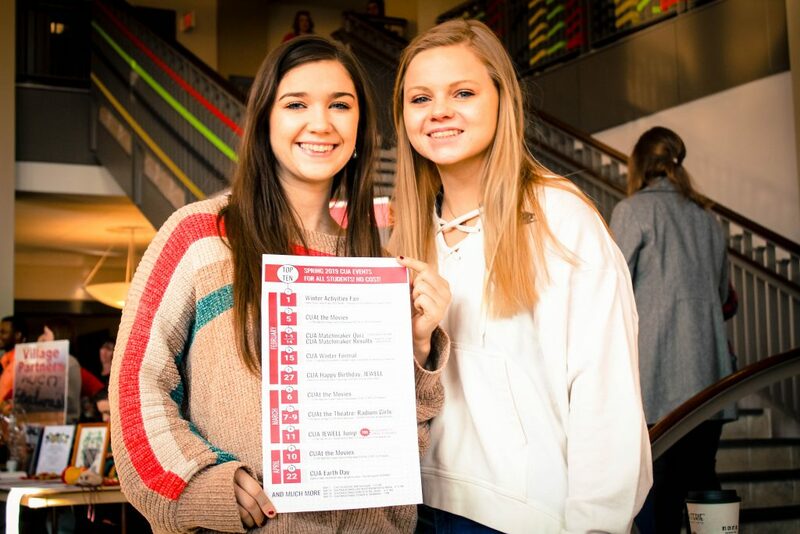 (Left to right) Senior psychological science major Darcy Sweet and junior international relations major Delaney Haralson smile at the Winter Activities Fair. 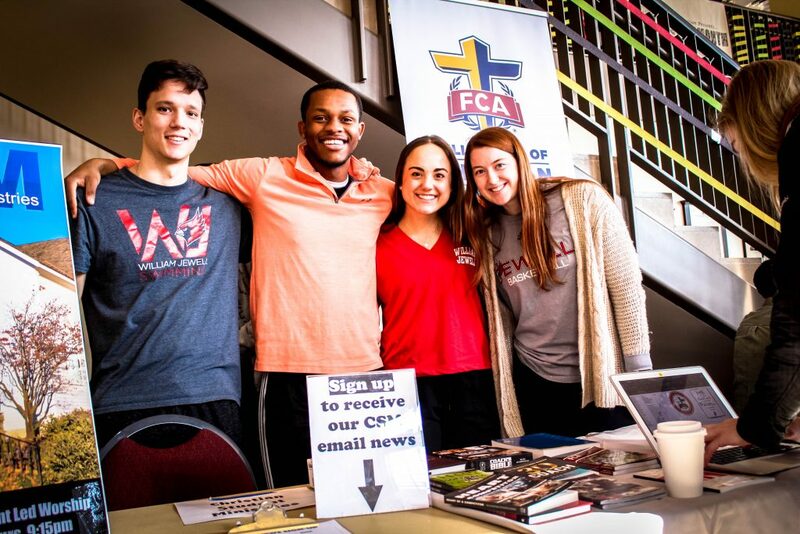 (Left to right) Junior civil engineering major Stephen Lancaster, first-year non-profit leadership major Marcus Jones, junior non-profit leadership major Natalie Denzer and senior psychological science major Rhyann Fisher at the Winter Activities Fair. 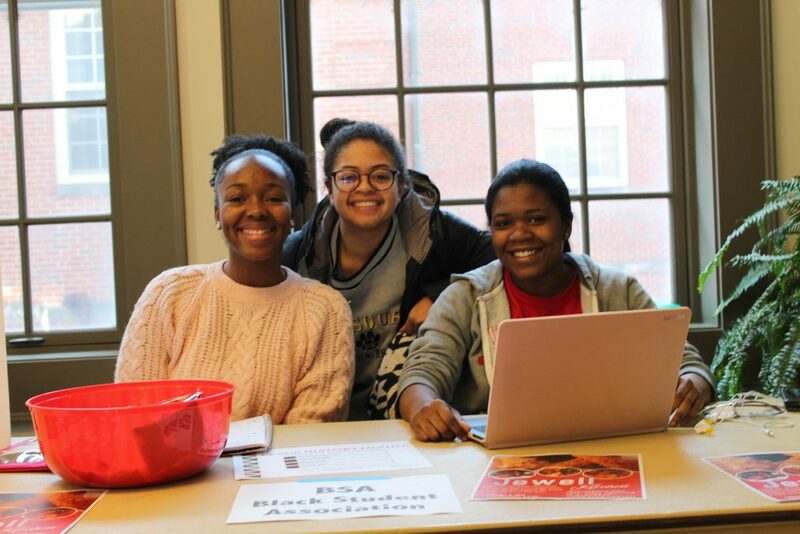 (Left to right) senior international relations major Naomi Griffin, junior biology major Jailyn Marshall and junior political science major Brittney Lattimore promote the Jewell Kitchen event at the Winter Activities Fair. 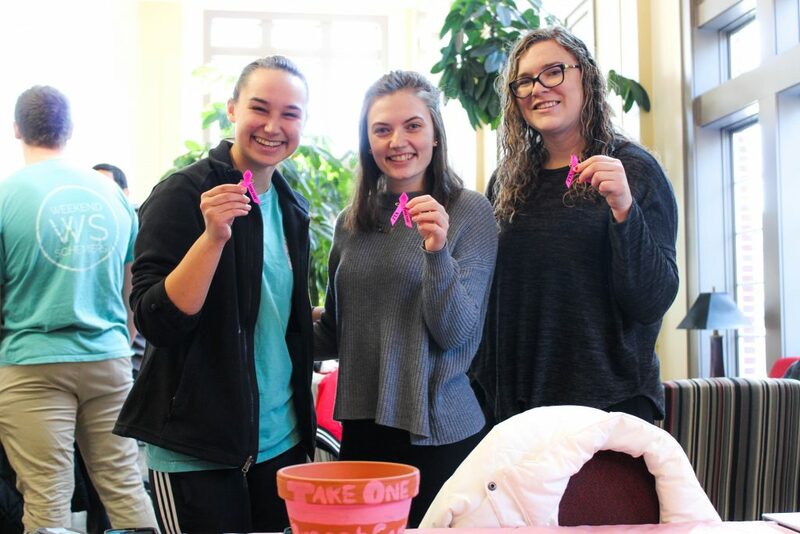 (Left to right) Senior international relations major Margaret Miles, junior economic major Katie Bird and senior physics major Abby Christensen display “Think Pink” pins at the Winter Activities Fair. 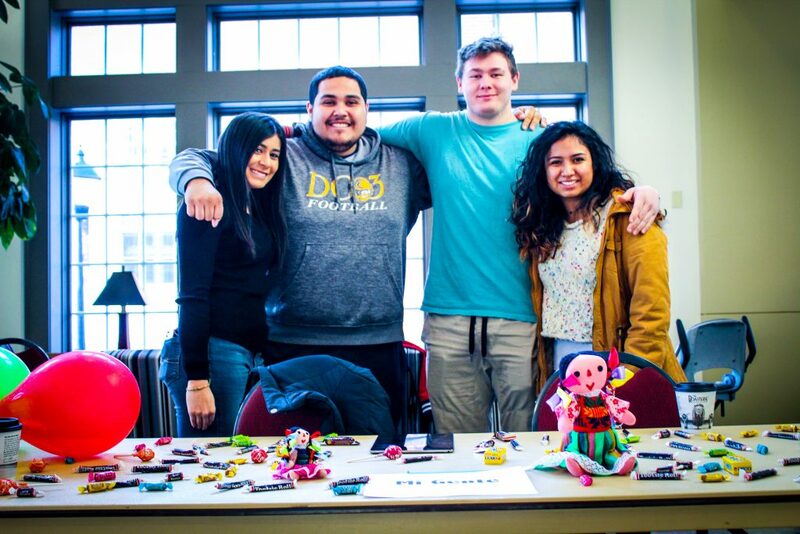 (Left to right) Junior elementary education and Spanish major Taylor Alarcon, junior biology major Gabe Alavarez, junior business administration major Colton Johnson and Senior Oxbridge: History of Ideas major Thais Quiroga pose at the Mi Gente table. 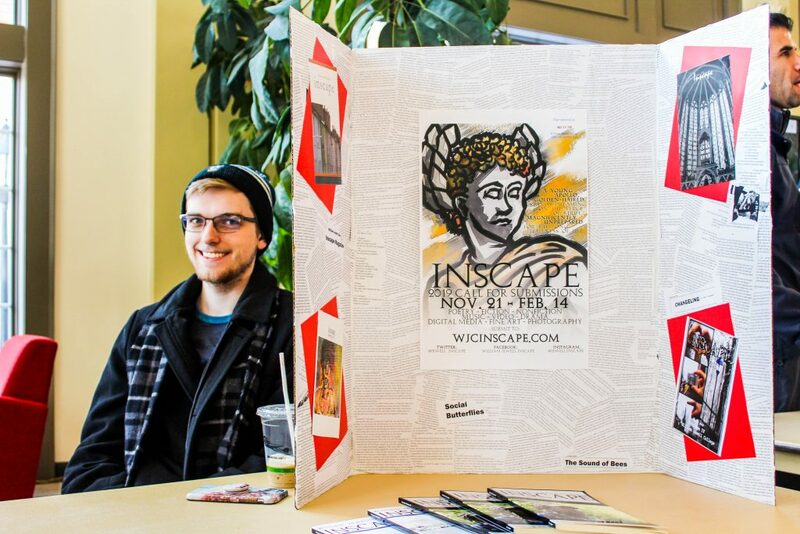 Cameron White representing Inscape at the Winter Activities Fair. 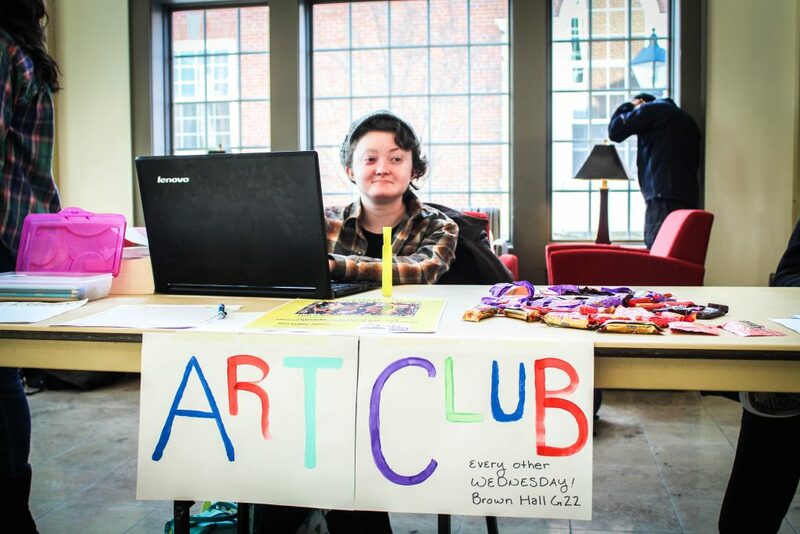 Senior English major Brielle Buntin representing Art Club at the Winter Activities Fair. 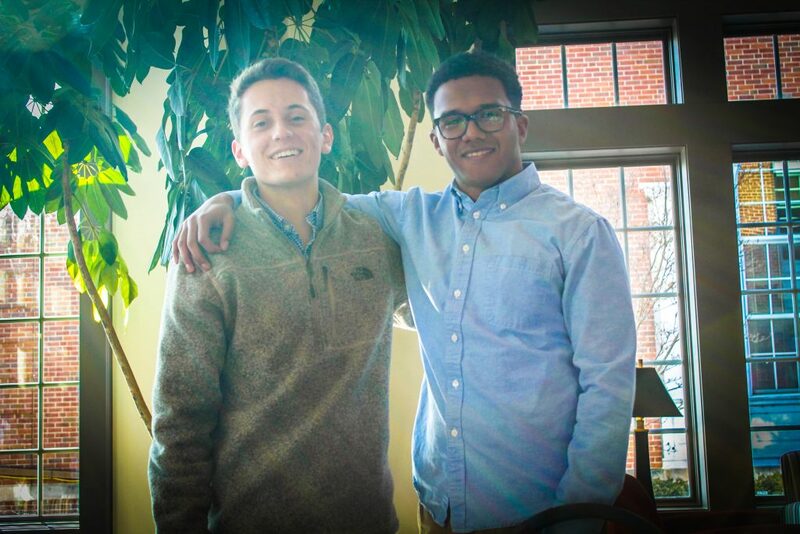 (Left to right) Sophomore economics major Jack Still and sophomore business administration major Tyrell Jeffries pose together at the Winter Activities Fair. 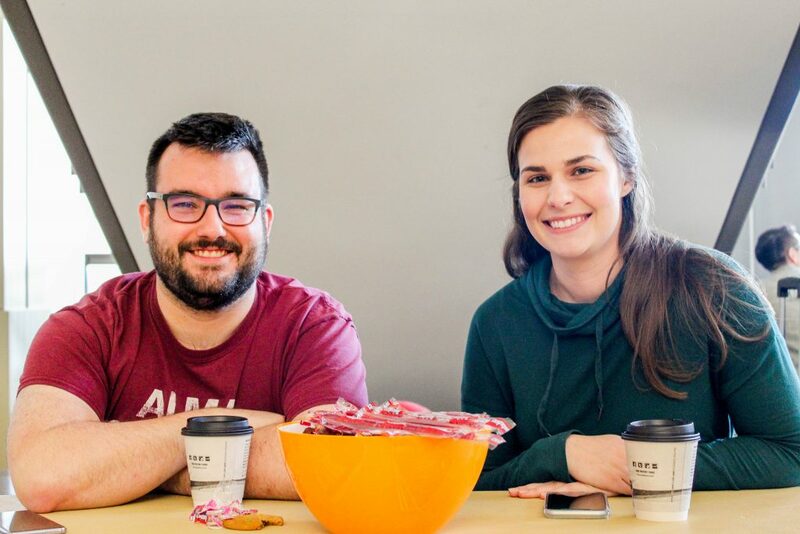 (Left to right) Resident directors Ryan Zavacky and Sydney Cotton smile at the Winter Activities Fair. 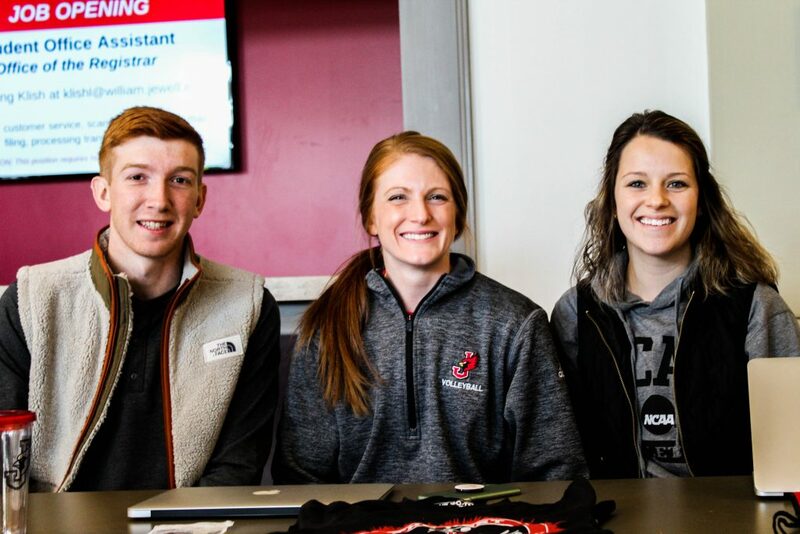 (Left to right) Senior accounting major Collin Kasitz, head volleyball coach Carolyn Raynes and assistant athletic director Lohgan Bryant represent “The Nest” at the Winter Activities Fair. 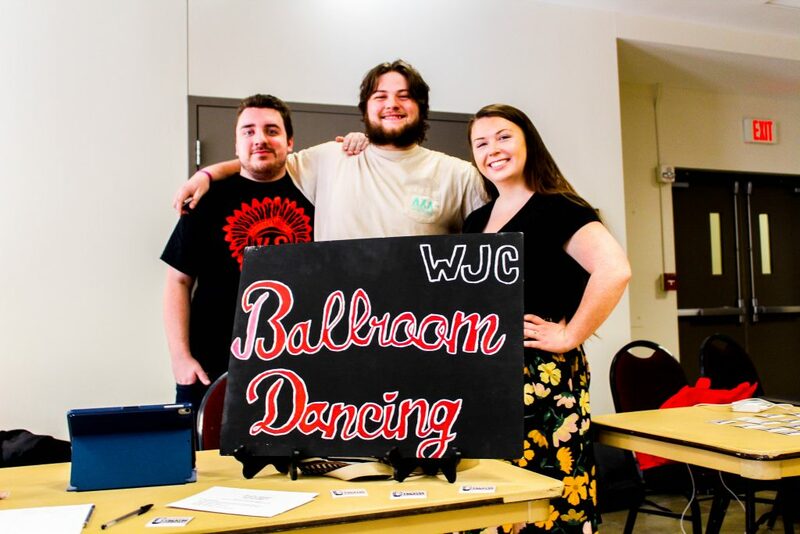 (Left to right) Senior music major Blair Walker, senior communication major Timothy Wise and senior French major Kathryn Shelburne at the Winter Activities Fair. 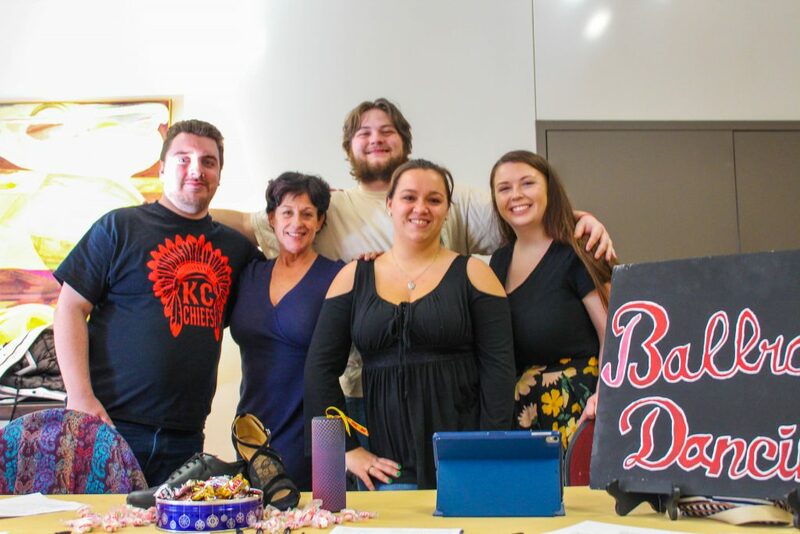 (Left to right) Senior music major Blair Walker, senior communication major Timothy Wise and senior French major Kathryn Shelburne pose with the Ballroom Dancing instructors at the Winter Activities Fair. 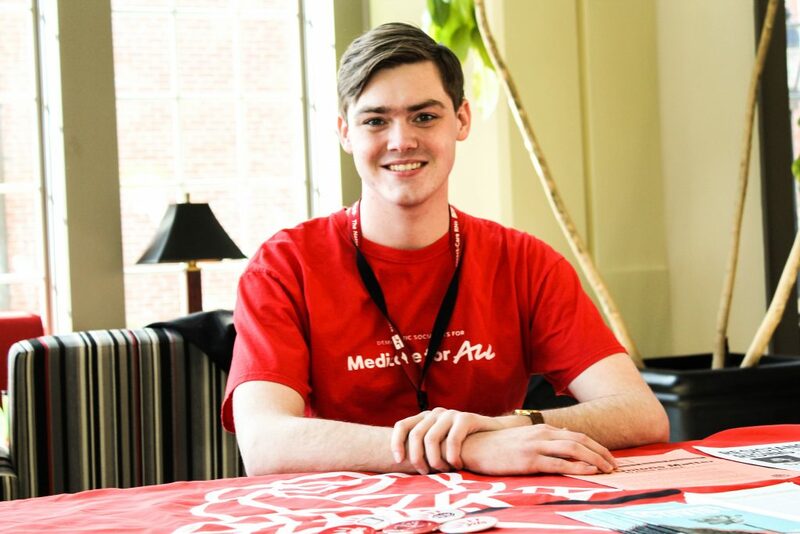 Junior political science major Brendan Davison represent Young Democratic Socialists at the Winter Activites Fair. NextNext post:“The Bachelor”: good show or guilty pleasure?